Are roots removed during endodontic (root canal) treatment? 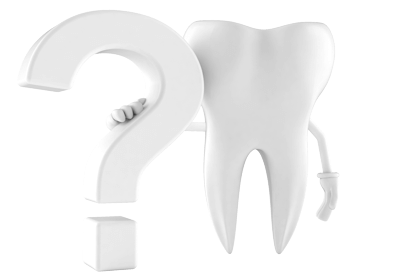 No, the roots of a tooth are not removed during endodontic treatment. During non-surgical endodontic treatment, inflamed or infected pulp tissue is removed from within the crown and roots of a tooth. After the tissue is removed, the pulp chamber is cleaned and disinfected, then filled and sealed with a rubber-like material called gutta-percha. With proper final restoration by a restorative dentist, endodontic treatment ensures the tooth stays intact and maintains aesthetic and dental function. During endodontic surgery, a root-end of a tooth may be resected due to damage to the root, but again the tooth stays intact. Do you kill my nerves during endodontic (root canal) treatment? No, the nerves are not “killed” during endodontic treatment. Inflamed or infected pulp tissue, containing nerves and blood vessels, is removed from the pulp chamber of a tooth. After the tissue is removed, the pulp chamber is cleaned and disinfected, filled and sealed with a rubber-like material called gutta-percha. With proper final restoration, endodontic treatment ensures the tooth stays intact and maintains aesthetic and dental function. If you removed the nerve, why does it still hurt? Although removing the inflamed or infected pulp tissue (containing nerves and blood vessels) eliminates the source of inflammation, inflammation may still be present in the bone and ligament surrounding the tooth, causing discomfort. Most of the time your body’s immune system can heal this residual inflammation, but in some cases antibiotics and anti-inflammatories are needed to assist the healing process. Why does my tooth still hurt if the tooth is dead? When pulp tissue inside a tooth is necrotic (dead), the discomfort is no longer from inflamed tissue within the tooth, but rather from inflammatory activity in the bone surrounding the tooth. The necrotic pulp tissue inside the tooth must be removed to eliminate the source of inflammation in the bone surrounding the tooth. If I have a dental infection, why can’t I just take antibiotics? An antibiotic helps your body’s immune system reduce the number of bacteria present in the tissues surrounding your tooth. Although your pain may lessen or go away, the infection will persist until the diseased tissue inside the tooth is removed. Which doctor is the best? At Northshore and Brookline Endodontics you will be provided with the best possible care. All of our endodontists are specialists in saving teeth and have under gone years of specialized training in Endodontics. We deliver the finest care at the most reasonable cost to our patients, therefore payment is due at the time service is rendered unless other arrangements have been made in advance. For your convenience we accept Cash, Check, Visa, MasterCard, Discover and American Express.Monthly financing is available in-house and through Care Credit. Please contact our office for more information. What do the credentials mean after the doctor’s name, and why are they different? The DDS (Doctor of Dental Surgery) and DMD (Doctor of Dental Medicine) are the same degrees with the same education. Each university determines what degree is awarded, but both degrees use the same curriculum requirements.Following the degrees above are additional degrees received, such as MScD (Master of Science in Dentistry), MMSc (Master of Medical Science), and CAGS (Certificate of Advanced Graduate Studies). Each of our endodontists are dentists that have completed an additional two or more years of training on diagnosing tooth pain and performing endodontic (root canal) treatment. For this reason, they are referred to as Specialists in Saving Teeth. Why does this have to be done in two visits? Typically, root canal specialists (known as endodontists) will complete a root canal in one visit. This is certainly more convenient for the patient, but in some cases, a root canal has to be performed in two visits depending on various factors including, anatomy, infections, calcifications and others. No, in most cases, endodontic treatment is performed with local anesthetic. Can I go to work after endodontic (root canal) treatment? In most cases, you may return to work following endodontic treatment. Most post-operative symptoms are mild and may require over the counter analgesics. Please note that you will experience numbness in the area of the tooth for 1-2 hours following endodontic treatment. If you feel that you are unable to return to work, we would be happy to provide you with a doctor’s note. Can I eat after endodontic (root canal) treatment? Please avoid hot liquids and chewing food until your anesthetic has worn off.Please avoid biting or chewing directly on the tooth for the next few days, to promote quick healing.Please avoid sticky foods like jelly beans or gum since they may loosen or remove the temporary filling that was placed. If the temporary filling feels loose or completely falls out, please call our office as it may need to be replaced. Does my insurance cover endodontic (root canal) treatment? Each dental insurance plan is unique in coverage of endodontic consultation and treatment. We work hand in hand with you to maximize your dental insurance reimbursement for covered procedures and as a courtesy, our staff will contact your dental insurance to find out what your benefits are. We will estimate your portion at the time of service and request that you pay your estimated portion. We will bill your insurance company for the procedure. If there is a balance after your insurance processes and pays the claim, you will receive a statement for the balance due. If you have paid more than expected, you will receive a refund check from our office. Please note, benefits quoted are only an estimate, not a guarantee of payment. Final responsibility of payment rests with the person responsible for the account. Endodontics is most often not a covered benefit of medical insurance. Does endodontic (root canal) treatment hurt? We provide endodontic care to our patients in a comfortable, professional environment. Most patients find the experience of having root canal treatment to be much easier than anticipated. Endodontic treatment doesn’t cause pain, it relieves it, and alleviating dental and facial pain is our specialty. Dental pain can vary from mild to severe and can often cause systemic symptoms due to infection and pain. These symptoms often develop suddenly and can become life interrupting. Our diagnostic and treatment skills allow us to quickly identify the cause of the problem and help patients get back to their regular life. How long does the endodontic (root canal) procedure take and how many visits will I need? Appointment times and visits may vary depending on difficulty of treatment and specific patient needs. Most often, endodontic treatment will be completed in one to two visits, each visit lasting 60 to 90 minutes. Do I need a ride after endodontic (root canal) treatment? In most cases, you are able to drive yourself home after endodontic treatment. In special cases, specific transportation instructions will be given to patients and discussed during consultation. Will I be given pain medication after endodontic (root canal) treatment? In most cases, strong pain medications are not required after endodontic treatment. Over the counter analgesics such as aspirin, Acetaminophen (Tylenol), Ibuprofen (Advil, Motrin), and Naproxen Sodium (Aleve) usually alleviate any discomfort. We recommend taking an anti-inflammatory such as Ibuprofen. You will be given a prescription for stronger pain medication only if we feel it will be necessary. Do I need an antibiotic after endodontic (root canal) treatment? In most cases, antibiotics are not required after endodontic treatment. The root canal treatment removes the source of the infection and your body’s natural immune system usually takes care of any residual bacteria. Antibiotics are only prescribed for circumstances when the body needs help in this process. The endodontist will make this decision after evaluating and treating the tooth. Do I have to go back to my dentist for a filling (permanent restoration)? It is extremely important that you return to your dentist for permanent restoration of the tooth, unless otherwise stated by our office. We recommend contacting your dentist within 1-2 weeks after treatment. A full report of your dental treatment will be mailed or e-mailed to your general dentist. Failure to return to your restorative dentist may result in re-infection of the root canal or loss of tooth due to breakdown. When do I have to return to my dentist for final restoration? We recommend contacting your dentist within 1-2 weeks after treatment. A full report of your dental treatment will be mailed or e-mailed to your general dentist. Failure to return to your restorative dentist may result in re-infection of the root canal or loss of tooth due to breakdown. Why do I need to return in one year for a recall appointment? A recall appointment allows us to examine your case one final time to evaluate the outcome of the treatment and ensure that necessary restoration was completed. The appointment is usually at no charge to you.